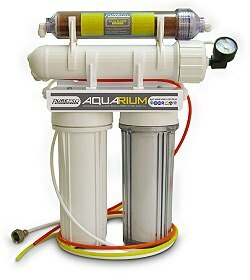 The minimum operating pressure for a RO (reverse osmosis) unit is 50 psi (pounds per square inch). This unit build-in pressure gauge to monitor the operating pressure of the system. If the operating pressure is too low, an RO pressure boosting pump can be added to increase the operating pressure to the ideal range.